To my dearest readers, bear with me a moment. This post is about to get a little on the personal side, for this author has done amazing things and written/ co-authored books about changing your current life pattern. I hope I don’t cry in this post. First of all, thank you for taking this time out of your busy schedule to read this letter. I’m sure you’re very busy with helping people with terminal illnesses and tough problems at home while making speeches about how to heal the body with positive energy. Also, I want to congratulate you on making it to your 90th birthday. You’ve done a whole lot of good for so many people in so many decades, it’s incredible. My mother read your story on how much grief you’ve been through as a little girl up to the point where you were divorced from your husband. And to hear such amazing things coming from you, like how you healed yourself from cancer by eating healthier and practicing positive affirmations in front of a mirror, that’s just incredible. My mother then told me that if I wanted to improve my mental health, I should read more about you, by reading your book You Can Heal Your Life. First, let me tell you a few things about me. I have a documented mental disorder and my DORS (Division of Rehabilitation Services) counselor is having me tested for autism, to see if I’m on the high-functioning end of the spectrum. I’ve been in therapy since I was 15, when I started having my first panic attacks, but since I started taking medication, I’ve been having less and less of them. Since I was little, my teachers have always disagreed with my doctors. My teachers have told my mother I should have been in special education when my mother has told them time and again that my grades were fine and there was nothing wrong with my intellect. And the doctors my mother sent me to said the same thing when I was seven: She’s fine. There’s nothing wrong with her and she doesn’t need to be in a special school. That was in the 1990s. I’m 27. I had a 3.3 GPA in high school and college and I was on the Dean’s List three semesters in a row. I now have a Bachelor’s degree, and still I don’t know how to get along with other people that well. I have trouble reading people’s faces, like when my therapist laughs when I’m talking to her about something serious that’s been bothering me. Grocery stores and other stores like Walmart always bring out the worst in me whenever an awful song I hate comes on the radio, for example, “Disturbia” by Rhianna or “Hey Ho” by The Lumineers. (Damn, I hate those songs and I hate those people.) I disapprove of books like Twilight and people who want to make this country more stupid, even society, since all the magazines care about is what the Kardashians are wearing. What made the Kardashians so famous anyway? Why do people love them? Has society gone as insane as they are? Who gives a crap about those stupid people? Like my dad, I have extensive knowledge about nerdy things like Doctor Who, Marvel movies, and Star Wars. But the real problem is, I might possibly be the loneliest woman in Baltimore. I have no brothers or sisters, not even a next door neighbor to hang out with. All of my friends are married or living too far for me to see them on a daily basis. Worse, my last roommate at Workforce Technology Center was angry at me for a long time because I didn’t know how to reign in my emotions and not lash out at other people for gossiping negatively about me. She doesn’t want to be my roommate ever again unless I get my act together. In the last year, I’ve lost three therapists, a family pet, a boyfriend, and a job that I really had no business doing since the lawyer I worked for gave me nothing but more negative thinking and self-abuse. I still have no income, no job, very little confidence, and I still live with family. 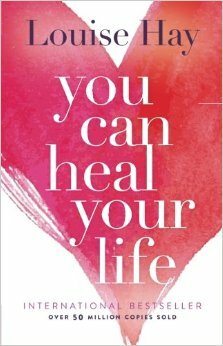 When my mother showed me your book You Can Heal Your Life, I made a commitment to read it at least twice. I’m re-reading it again and I thought I would come to you for advice with this letter. Is it possible for someone like me to get out of this situation based on positive thinking? I know you express the importance of thinking positive and using affirmations to get yourself out of an abusive or difficult life path. But I’m afraid I am far out of my depth here. My dream is to become a published author before age 30. I’ll be 28 in July. I was hoping to be married at this moment in my life, living in a house away from Maryland, but that seems like a distant dream for me. It will never become a reality. And here come the terrible phrases that I really should get rid of: the “I nevers”. I’ll never move out of my parents’ house. I’ll never get more than 50 followers on Twitter. I’ll never get any more income because my emotions are out of whack. I’ll never get a man to love me for who I am because I’m a monster. I’ll never get married. I’ll never get another roommate and live on my own. I’ll be living with my mother until I’m 50. The real problem is, I have a huge problem with loving myself. I strongly feel that there’s a fine line between arrogance and pessimism, and I fall toward the pessimist side. When I write in my diary, I’m making small changes by writing letters to myself, like the singer Sara Bareilles did in her memoir Sounds Like Me, saying “you are beautiful” in each one, but it’s a work in progress. I’m even thinking of dating again, but I don’t trust online dating sites and I’d rather meet my next boyfriend at a public place than a computer. But you know what? I’ve been using all this time and space to write you this letter about being the loneliest woman in the state of Maryland, and I don’t feel so alone anymore. I feel a little better. You are lovely, Louise. Happy 90 years. This entry was posted in Authors, Blog, Book Reviews, College Life, Fiction, Inspiration, Literature, Memoirs, Mental Health, NaNoWriMo, Nerd, Opinion, Post Grad, Reading, Science Fiction, Writing, Writing Therapy and tagged Camp NaNoWriMo, CampNaNoWriMo April, Lady in the Blue Box, letters to authors louise hay, louise hay you can heal your heart, louise hay you can heal your life, NaNoWriMo, NaNoWriMo April, National Novel Writing Month, positive affirmations for autism, positive affirmations for bipolar disorder, Rachel Ahrens on NaNoWriMo, Rachel Beth Ahrens, rachel beth ahrens fiction and more, rachel beth errands, rachelbethahrens. Bookmark the permalink.